Please note: The digital edition does not include 5 of the 20 images that appear in the physical edition. In The Cruel Radiance, Susie Linfield challenges the idea that photographs of political violence exploit their subjects and pander to the voyeuristic tendencies of their viewers. Instead she argues passionately that looking at such images—and learning to see the people in them—is an ethically and politically necessary act that connects us to our modern history of violence and probes the human capacity for cruelty. 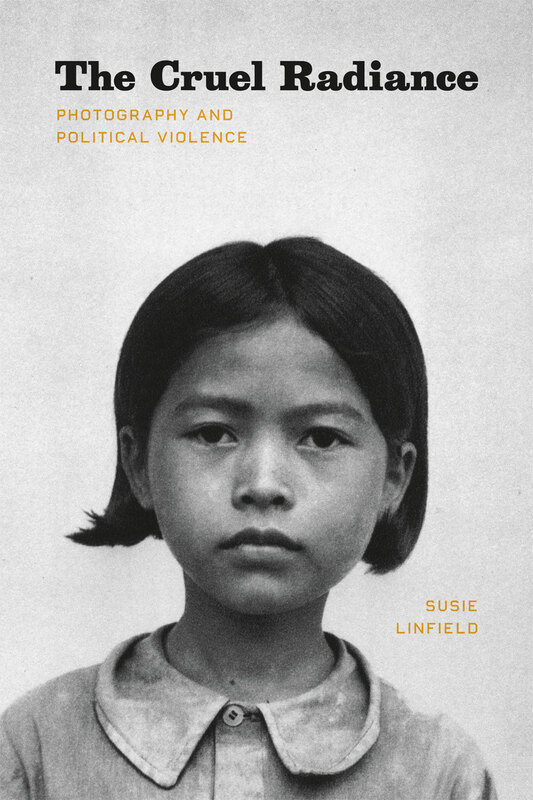 Grappling with critics from Walter Benjamin and Bertolt Brecht to Susan Sontag and the postmoderns—and analyzing photographs from such events as the Holocaust, China’s Cultural Revolution, and recent terrorist acts—Linfield explores the complex connection between photojournalism and the rise of human rights ideals. In the book’s concluding section, she examines the indispensable work of Robert Capa, James Nachtwey, and Gilles Peress and asks how photography should respond to the increasingly nihilistic trajectory of modern warfare. A bracing and unsettling book, The Cruel Radiance convincingly demonstrates that if we hope to alleviate political violence, we must first truly understand it—and to do that, we must begin to look. 1 A Little History of Photography Criticism; or, Why Do Photography Critics Hate Photography? "A somber, heartfelt plea for readers to see the truth and acknowledge and understand the consequences of humans’ potential for inhumanity. This should be required reading for students of journalism and political science and general readers with an interest in human-rights activism." "To look at a photograph entails a peculiar kind of participation: distanced in time and space, and severely limited in regard to the context leading to and consequences stemming from the moment fixed on film, yet often viscerally affecting. . . . Susie Linfield writes forcefully about this predicament. In The Cruel Radiance her eye for the unplanned, wounding photographic detail that Roland Barthes called the punctum is acute, and her empathic intelligence shines." "Susie Linfield has written a brave and unsettling book . . . and she creates a calculus for a new kind of photography criticism--one that respects photography rather than distrusts it, derives its power from intellect and feeling." "A smart, very readable dismantling of postmodern criticism’s confusion over the power of photojournalism." "The Cruel Radiance is a beautifully considered and unabashedly impassioned plea for the continuing moral relevance of photojournalism. . . . Linfield offers a defense of photojournalism that honors the photographers without turning them into saints or their work into sacred icons." "At its best, the passionate intensity and intellectual rigour of Linfield’s writing may convince you that looking away, or not looking at all, is not an option. To make sense of a violent world we must, she contends, ’look at, and look into, what James Agee called "the cruel radiance of what is." ’ Whatever the cost." "While images of violence and human degradation should never be easy to consume, this book contends that their wordless stories demand the kind of imagination, interpretation and thought that brings the wider world closer to our doors. As such it offers a timely analysis that is itself challenging, unflinching and, for the most part, generous in its aims." "The Cruel Radiance is a treatise on moral witness and empathic leaps: a book of brief lives--grief lives--on both sides of the camera. . . . For Linfield, criticism is a high calling. There is a scrupulous attentiveness to her looking-in and arguing-out.. . . As criticism, The Cruel Radiance is a work of deep distinction. It will surely become part of the history of its field." "After years of intellectual stagnation in the field of photography criticism, The Cruel Radiance offers a stimulating, lively discussion and successfully repositions documentary photography in its rightful place, highlighting its decisive impact on how we come to understand the world. For restoring documentary photography’s lost dignity, Susie Linfield deserves the thanks of photographers who still believe in the power of their craft."